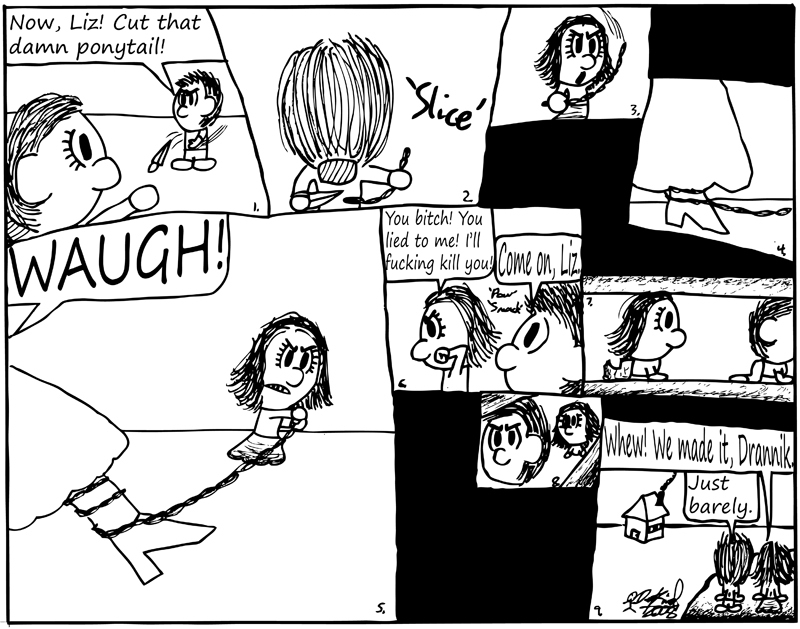 Negligence - Negligence #113: Cut That Damn Ponytail! Comic 113 - Negligence #113: Cut That Damn Ponytail! Drannik and Lizzep battle the cult leader.